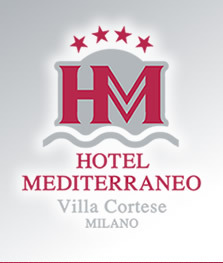 Hotel Mediterraneo is located in Villa Cortese, 7 km from the Legnano A8 motorway exit. It offers free parking, a free gym, and air-conditioned rooms with free Wi-Fi. 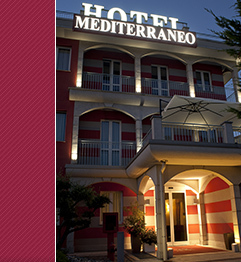 Rooms at the Mediterraneo Hotel are all soundproofed and feature a minibar and LCD TV with satellite and pay-per-view channels. Some rooms have direct access from the car park. Other on-site facilities include a 24-hour reception and a snack bar that provides room service. 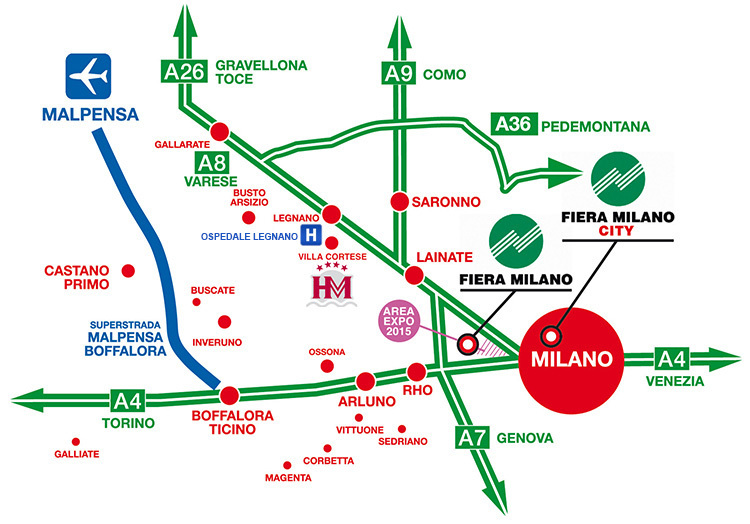 FROM MILAN CENTER: From the A8 highway, follow the green sign for Milan Lakes in Varese direction , exit Legnano. Turn right and to continue straight for Luigi Cadorna ROAD and to continue straight ahead for Pietro Toselli ROAD, and take SP 12 Route towards Inveruno get in Villa Cortese on the right you will find the Hotel are a total of about 6 km from the gate. FROM FIERA MILANO RHO-PERO: From Fair take A8 direction Varese Malpensa after about 10 km take the exit for Legnano follow again for Legnano and halfway to Cerro Maggiore at the roundabout take the first exit direction Magenta Legnano for SS 33 road to continue on Filippo Turati ROAD , crossing Legnano approximately 5 km continue to the SP 12 route after 2 km you reach the hotel , will take about 20 minutes. FROM LINATE AIRPORT: follow to the west ring road, then take the A8 Varese-Malpensa, exit Legnano. Turn right and then to continue straight for Luigi Cadorna ROAD , continue straight ahead for Pietro Toselli ROAD, take SP 12 Route towards Inveruno get in Villa Cortese on the right you will find the Hotel are a total of about 6 km from the gate. FROM MALPENSA AIRPORT: Take the A8 Milano - Varese Milan direction, exit Legnano. Turn right, and then to continue straight for Luigi Cadorna ROAD, continue straight ahead for Pietro Toselli ROAD, take Sp 12 Route towards Inveruno Villa Cortese get in on the right you will find the Hotel are a total of about 6 km from the gate. TRAINS - Take the train to Milan Central railway station to Milan Garibaldi FS train from here towards Varese to Parabiago Station . You will get it in 20 minutes .